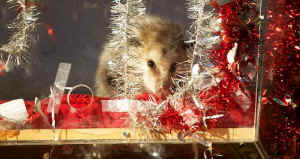 The Opossum Drop in Brasstown, NC will once again be allowed ON New’s Year Eve 2014. The NC Legislature passed a bill in attempt to allow Clay Logan to drop an opossum in a plexi glass box. The opossum, a shy, easily stressed creature will be captured, held in captivity, dropped in the box and released, if it survives. Not only is this capture, handling and stress cruel to the animal— is it dangerous. Opossums are susceptible to a stress-based disease. Please ask the license to exhibit a opossum for Clay Logan be revoked, because he does not meet the qualifications for the license. Please send this emails or calls immediately. Case is scheduled to be heard in court on Friday 12/20/2014. Please ask them to refuse Clay Logan’s application for the opossum drop. 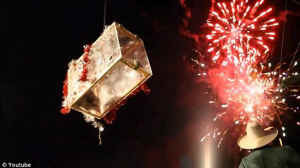 These docile animals are being dropped in clear boxes surrounded by threatening noise of New Year's celebration and blinding lights that they have no hope of escaping from. Year after year they are plucked from their habitat and exposed to things that terrify them with no hope of escape. PETA has returned to court to oppose the Opossum Drop at Brasstown, NC. The judge saw merit in all the findings by the attorneys as to how this drop can and does harm the opossums, aside from it being cruel. However, he has allowed the NC Wildlife Resources Commission (Gordon Myers, Director) one week to come up with a new set of standards for the exploitative drop. This includes ways to keep the opossum safe from the elements that cause it stress e.g. (flashing lights, cannons, guns and fire crackers, cold, and lack of hiding spaces). If they can come up with acceptable standards they will be allowed to issue the permit. But how can a box be made heated, soundproof, and dark?